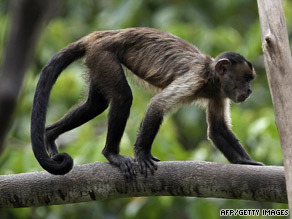 Excerpt: “If one person imitates what a monkey does, and the other person does not imitate, the monkey prefers to spend more time in front of the person that imitated them,” said Dr. Annika Paukner at the National Institutes of Health offices in Poolesville, Maryland. Sub-Saharan Africa has been hit harder by AIDS and HIV than any other region of the world, according to the United Nations and World Health Organization. There has been fierce debate between those who advocate the use of condoms to help stop the spread of the epidemic and those who oppose it. 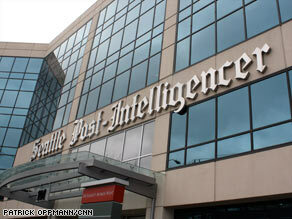 The Seattle Post-Intelligencer printed it’s last newspaper on March 17, 2009. It will now only be available online as an internet newspaper. Excerpt: The paper published its final print edition Tuesday (March 17, 2009) as the P-I makes a transformation into an online-only news outlet. A skeleton crew of 20 to 25 staffers will remain at the new Seattle PI.com while more than 140 staffers will lose their jobs. Drupal has won the 2008 Overall CMS Award (Content Management System) from Packt Publishing. It has also won best CMS based on a PHP/MySQL platform. Joomla wins 2nd place (Joomla was the 2006 winner) for overall CMS, and Joomla also ties for second in a PHP/MySQL platform CMS. “11,000 To Lose Casino Jobs in Macau” – front page featured news at CNN.com today. They are referring specifically to the Sands Venetian. Well now, not the best news for us working at the Venetian in Macau – but insiders have known it was coming. The dream to make Macau the Vegas of Asia does not come without an element of risk. Granted, Macau IS currently the largest gambling destination in the world, having already surpassed Las Vegas. But a 12 billion or so development project (just to START) by the Sands is monstrous.